The N78 Duke Tobacco Generals of the Civil War set was an innovative set of (50) sixteen page booklets issued by Duke in a tobacco card size as an insert to their cigarettes. 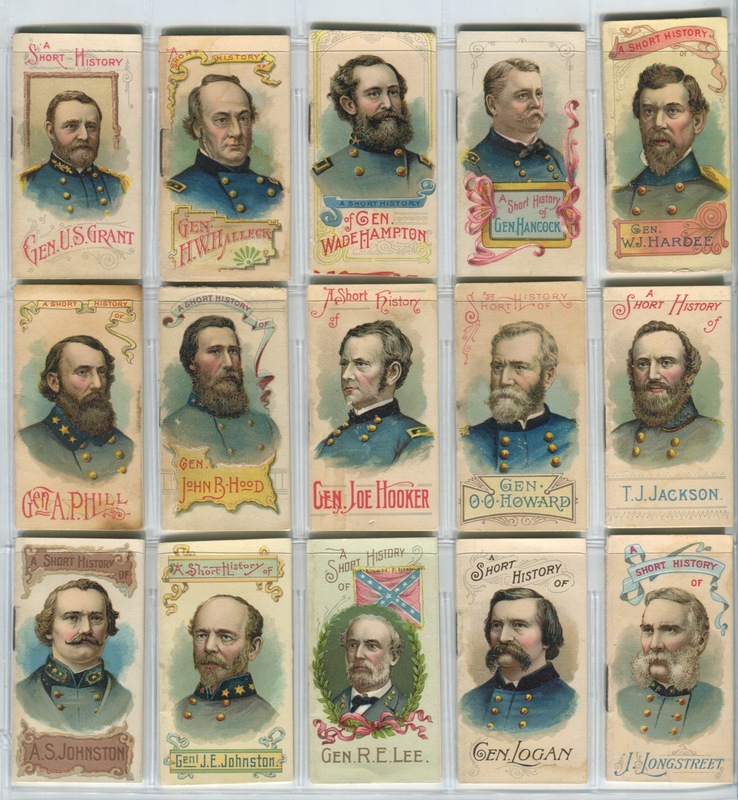 The images were used for the larger format N114 cards as well as the A28 Heroes of the Civil War Album and the G56 Histories of Generals Banner. As you could imagine, in the late 1880's, the U.S. Civil war was still fresh on the minds of many people, having concluded only 25 or so years earlier. 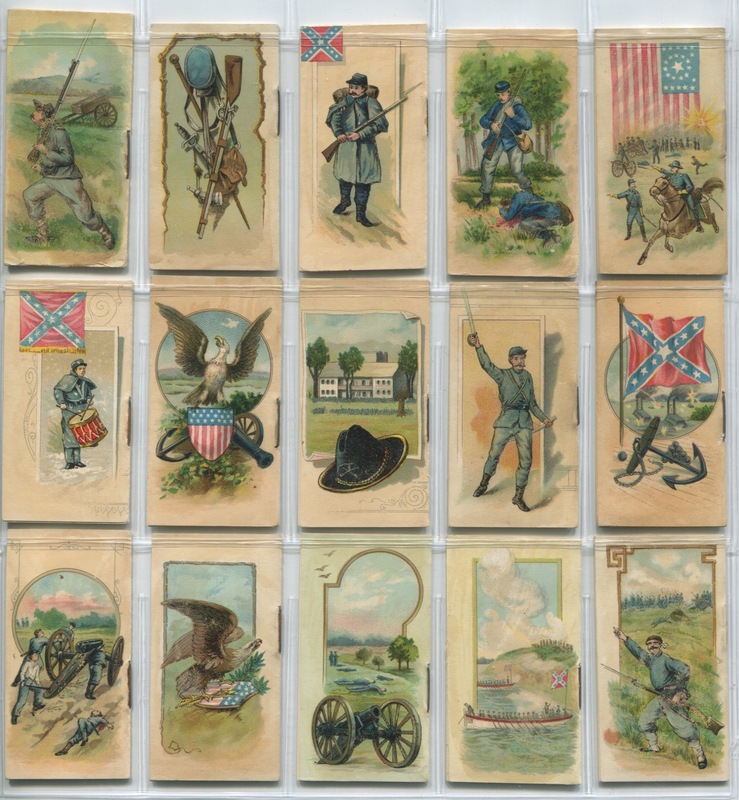 Many of the people involved in the Civil War had gone on to further exploits in politics and other venues and the U.S. was trying to repair both the physical damage and the damage to the very fabric of the re-formed Union. 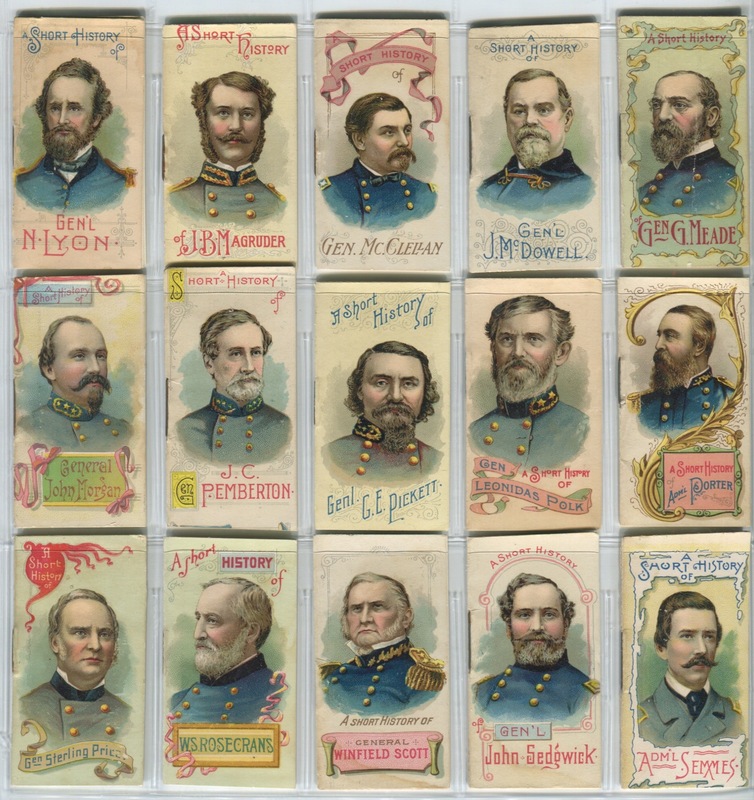 The Generals of the Civil War set boasts 25 generals from the Union, 25 from the Confederacy--a tribute to just how divided the U.S. was during this pivotal point in history. The roll call of subjects in the set includes men for whom naval and army bases are named, former presidents, senators, congressmen, governors and from all other walks. 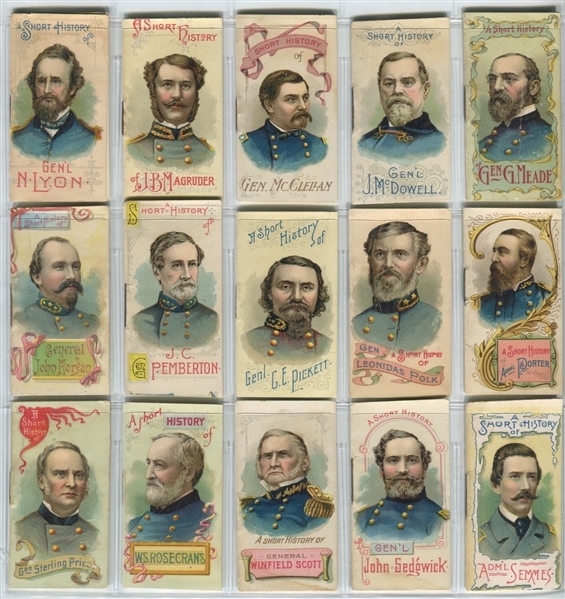 The two primary players, Robert E Lee and Ulysses S Grant are always the most popular subjects in the set. The booklets have a slick outer cover over thinner, newsprint type inner pages. 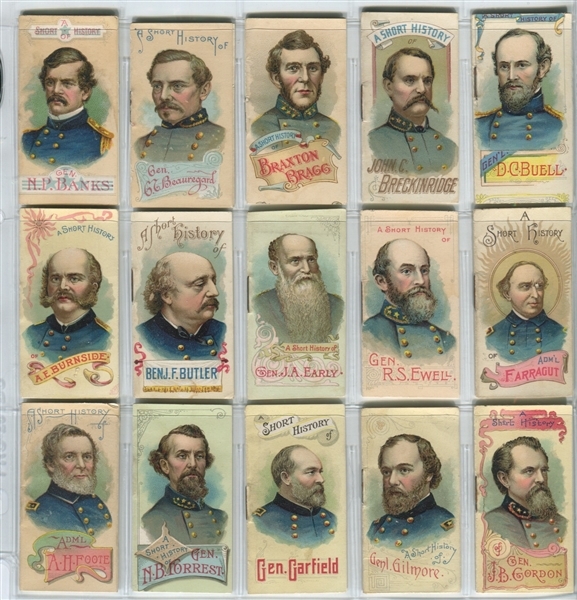 The inside cover of the booklet sports a facsimile autograph of the General on the cover and the inside of the back cover checklists the 50 booklets in the set. 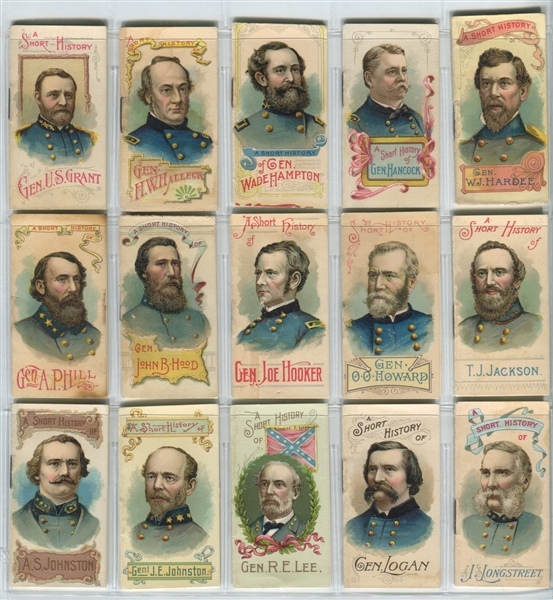 The interior pages offer a brief history of the general pictured on the cover. 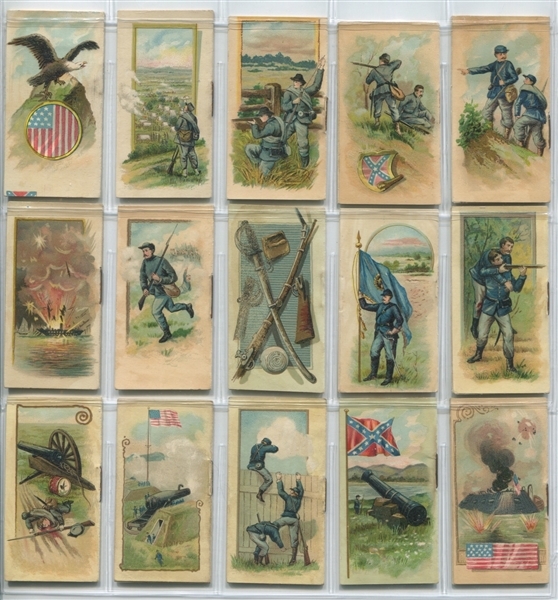 The condition breakdown on the set of (50) booklets is as follows: VGEX to EX condition (37 booklets), GVG to VG condition (10 booklets) and Good or less (3 booklets). 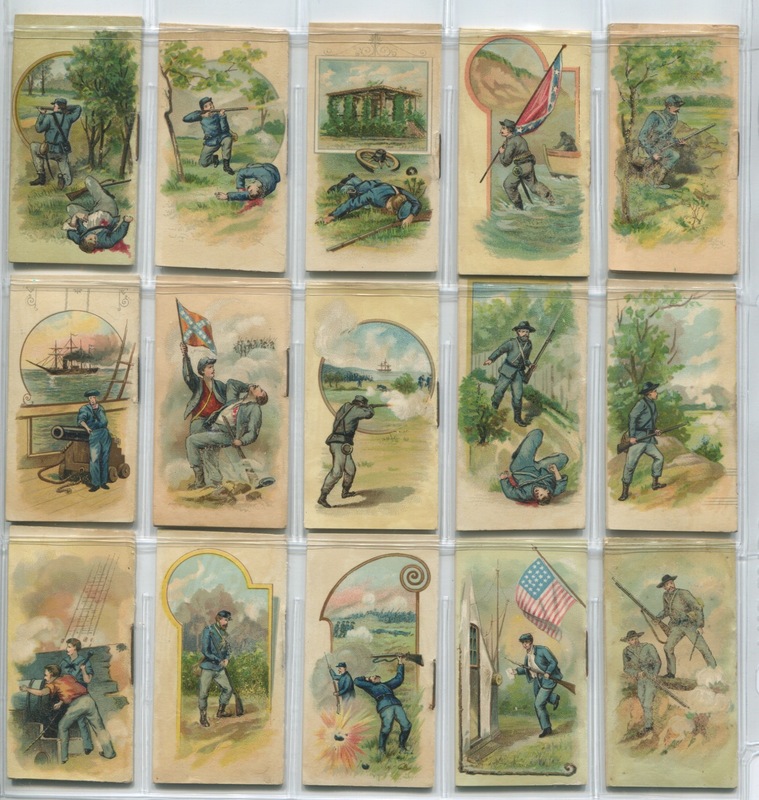 This is a well above average conditioned set for this issue. It is rare to find complete sets that don't suffer some level of back damage and other issues. 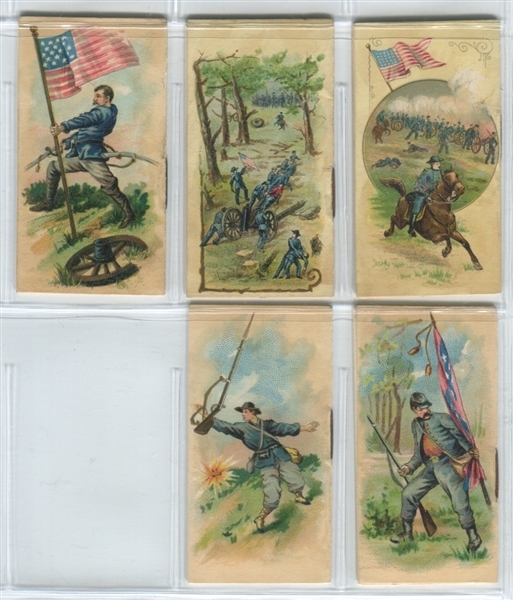 This set would fit in with any of the better collections around. The Lee and Grant booklets are in VGEX to EX condition. 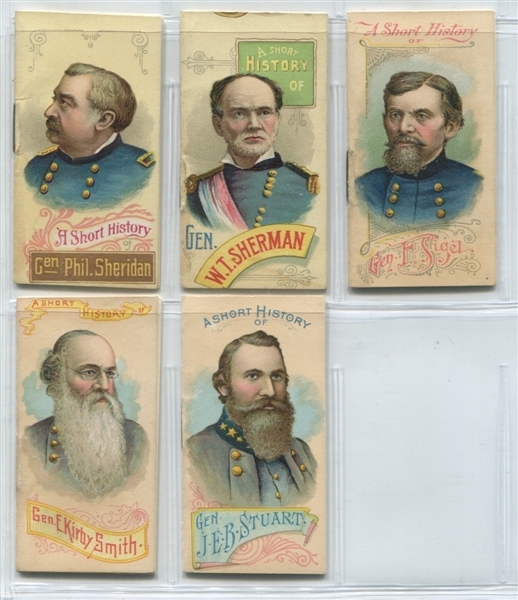 A great opportunity to get one of the classic 19th century tobacco sets from the most prolific issuer.